*Rest of list under the Individual Scoring Records tab. *In the 1997-98 season, James Colwell averaged 21.6 points per game while Johnney Coomer averaged 21.2 points per game becoming the first two Warriors to average 20 or more points a game in the same high school basketball season. Bill James is the record holder for most school records. His brilliant career was capped off by one of the greatest individual season of any Indiana High School basketball player in history. During his senior season in 1968-69, Bill set school records for most points in a game (69 v. West Washington), most points in a season (938 - 7th best in IHSAA history), most rebounds in a season (376) and all the free throw records. This all added to his career records in scoring (1,890), rebounds (975) and free throws made and attempted (484/709). 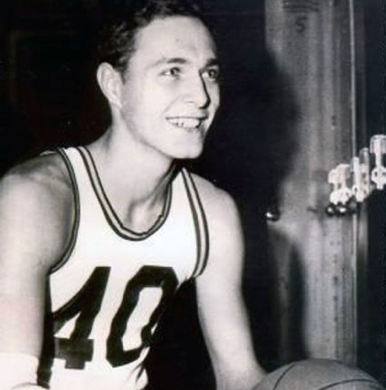 Nolan Barger holds the record for most rebounds in a single game. Tim Hutchinson ranks 2nd in both career assists and rebounds and is 6th in scoring. He is the only Warrior player to score 200 points while getting 100 rebounds and 100 assists in 4 straight seasons. Bill James the night he scored a school record 69 points against West Washington.